Iranian President Hassan Rouhani has called for unity as his government deals with the ongoing violent protests across the country that has left 12 people dead. Rouhani on Monday urged Iran's political and military forces to speak with "one voice to ensure the survival of the political system, national interest and stability of the country and the region" after a protester reportedly killed one officer and injured three others after opening fire on them in Najafabad. On Sunday, Rouhani said the people of Iran were free to protest peacefully, but rejected violence. "Our great nation has witnessed a number of similar incidents in the past and has comfortably dealt with them. This is nothing," CNN quoted Rouhani as saying in a meeting with Iranian members of parliament on Monday. 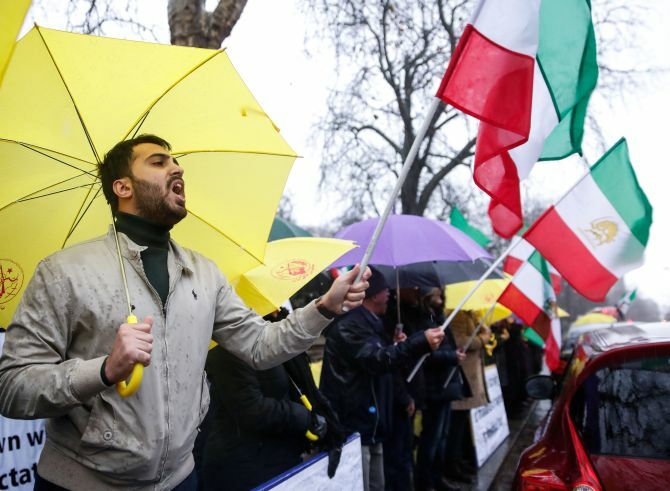 Iran is still witnessing a wave of demonstrations, which are being held in many cities across the country as people took to raising anti-government slogans, over alleged corruption and rising prices that have plagued the people of the country. Scores of protesters have been arrested in the last few days. United States President Donald Trump's daughter Ivanka Trump has extended her support to Iranians "seeking freedom from tyranny" and said she was inspired by the heroism and bravery of the peaceful protesters in Iran. "Inspired by the heroism & bravery of the peaceful protesters in #Iran. We must stand by the Iranian people as they seek freedom from tyranny," Ivanka said on twitter on Monday. Meanwhile, President Trump said it was time for change in Iran, following ongoing protests against alleged corruption and rising inflation in the country. "Iran is failing at every level despite the terrible deal made with them by the Obama Administration. The great Iranian people have been repressed for many years. They are hungry for food & for freedom. Along with human rights, the wealth of Iran is being looted. TIME FOR CHANGE!" Trump tweeted on Monday. Trump on Saturday condemned the arrests of the protesters in the anti-government agitation that has left at least ten people dead in Iran. In a series of tweets, Trump warned Iran that the "world is watching" and the people of Iran wanted a change in its regime. He tweeted, "Oppressive regimes cannot endure forever, and the day will come when the Iranian people will face a choice. The world is watching!" "The entire world understands that the good people of Iran want change, and, other than the vast military power of the United States, that Iran's people are what their leaders fear the most....", Trump said on tweet. Israeli Prime Minister Benjamin Netanyahu has also wished Iranian people "success in their noble quest for freedom". "I wish the Iranian people success in their noble quest for freedom," Netanyahu said in a YouTube video published on Monday. He also dismissed Iranian President Hassan Rouhani's claim that Israel is behind the protests in Iran. "I heard today Iran's President Hassan Rouhani's claim that Israel is behind the protests in Iran. It's not only false. It's laughable. And unlike Rouhani, I will not insult the Iranian people. They deserve better," Netanyahu said. 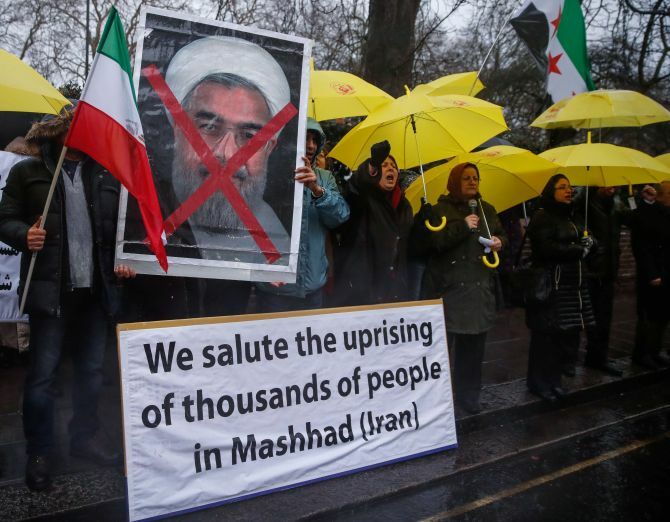 According to media reports, Rouhani had earlier alleged that the ongoing protests in Iran were being pushed by Saudi Arabia, which was trying to destabilise the country along with the US and Israel. Netanyahu also criticised European governments for not being supportive enough of the protests. "Sadly, many European governments watch in silence as heroic young Iranians are beaten in the streets. That's just not right. And I, for one, will not stay silent," he said.